Every stand-in dreamed of the starring role - but what actor would risk his life for the chance? 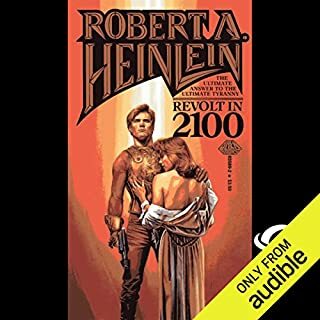 The book won a Hugo award and is one of Heinlein's best, but the narration makes the audio version required, even if you've already read the novel. I've listened to several of Weiner's narrations before, and always considered him a competent performer. My perception of him has been greatly elevated after hearing this work. It is easily the best performance I've heard from him, and probably one of the best by any narrator. What did you love best about Double Star? 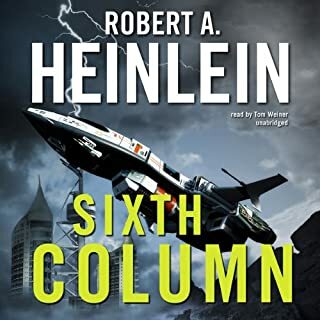 The story is just wonderful and Perfect Heinlein. I read this what seems to be a million years ago and since then I have re-read it several times. 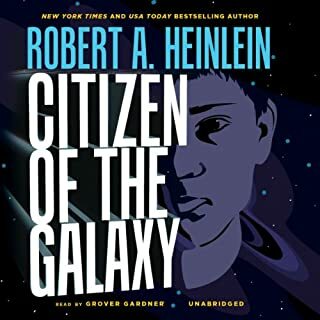 This audiobook is perfectly done and the reader was great. This is simply creativity that none of us will ever see again. Heinlein and of course Asimov, are giants from the past. We all know now without any doubt that the Martians that are a main focus here, are never to be. But the story is more about life, politics, people struggling for the better way of life and the sacrifices that we all are ask to make in the attempt to obtain it all. Great performance by the narrator, if anything, I feel he made the story even better. Like I said this is the end of this type of writing. Future Science Fiction writing of course will and have their own great writers, but this era is over and never to happen again, thus this is one of the best stories that I feel, represents that era! Enjoy! The performer of this book did his job SO well that it nearly makes the book tough to listen to for periods longer than about a chapter at a time. That is because the story is told by a character who is supposed to be smarmy and unlikable and the book's reader pulled this stunt off to a tee. Bravo. Aside from that complaint, this book was excellent. I have a special space in my heart for sci-fi that allows for a bit of humor from time to time. If you are unfamiliar with Heinlein, may I suggest you check out "The Unpleasant Profession of Jonathan Hoag" first. It will give you a better idea of the writer's style and range. What made the experience of listening to Double Star the most enjoyable? Tom Weiner was absolutely terrific. This is my favorite Heinlein book. As another reviewer stated, it is a very small book and thus a short audiobook. It was like listening to this book as a play or a movie! He really is terrific!! This is a book I have read many many times, but it was literally brought to life by Mr. Weiner! Would you listen to Double Star again? Why? Yes. 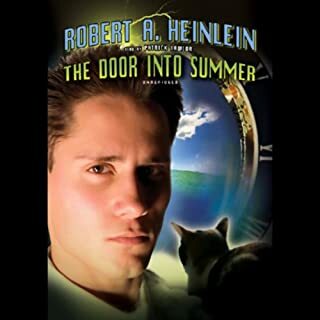 It has an engaging story and interesting philosophical points that are in all books by Heinlein. Well worth multiple repeats. 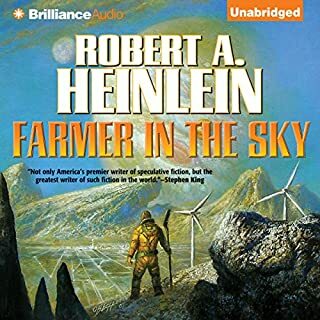 Heinlein's knowledge of science, combined with his unique story telling ability makes an excellent mixture of reality and fantasy. He also promoted his mixture of conservative/libertarian philosophy in most of his stories, and I won't be surprised if his logic hasn't caused more than a few to change their slant on things. A classic tale of Science Fiction that may be Heinlein’s most satisfying novel. The plot so tight that there is no room for anything extra. Just story. .Every element advancing toward the inevitable end. Tom Weiner reads the book competently. His pacing sometimes falters during dialog scenes as he tries to jump form one character voice to another, but his voices are appropriate for each person in the story. 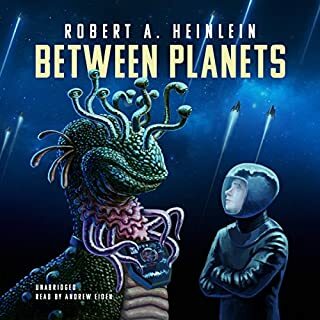 You can't trust any review I might write because I am a Heinlein nut but I enjoyed it quite a bit. What disappointed you about Double Star? Great performance, very bad audio. All sibilance is gone, making this book pretty hard to enjoy. I tried, but could not continue. Hands off that de-esser! 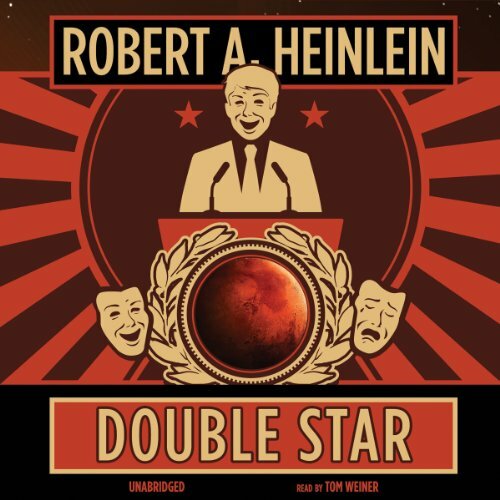 Double Star won a Hugo award in 1956 and many name it as one of their favourite Robert Heinlein novels. It's a story about a young, pompous actor who gets caught up in interplanetary political intrigue. I enjoyed this sci-fi Prince-and-the-Paper story and wondered if was related to or inspired by the fledgling civil rights movement. In any case, it's a good read and well narrated by Tom Wiener. The story is light on science fiction, relying more heavily on story and characters. The story was pretty interesting and I recommend it.